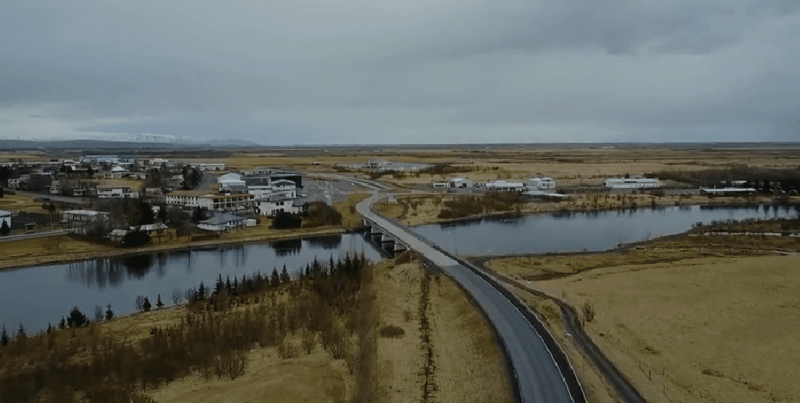 Hella is a small town in southern Iceland located in between Selfoss “the capital of the South” and Hvolsvöllur. The town is surrounded by numerous stunning tourist attractions and nearby nestles the voluminous Hekla volcano visible from the Hella. Hella is the perfect place to stay if you are looking to explore the South Coast, if you are driving the Ring Road or simply want to escape the city life or Reykjavík. How to get to Hella? What to do at and around Hella? Where to eat at Hella? The town of Hella is a part of the municipality of Rangárþing Ytra and sits right on the southern part of the famous Ring Road. The river Rangá runs through the town and the multicolored houses rest at the river bank. The population of the town is only about 800 people but still, you can find all the basic services one might need including a supermarket, a bakery, restaurants, a swimming pool, and hot tubs, a hotel and sometimes even a cinema! 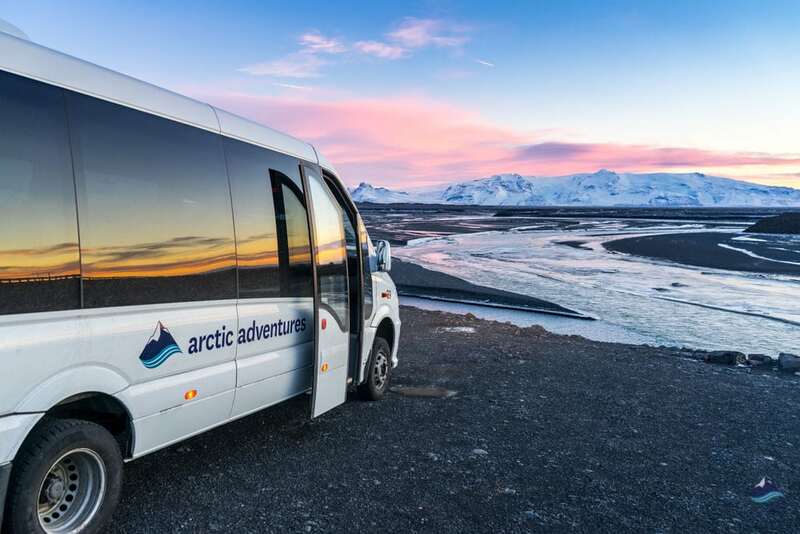 Hella is a fabulous place to stay if you are looking to explore the South Coast of Iceland, located in between the towns Selfoss and Hvolsvöllur. 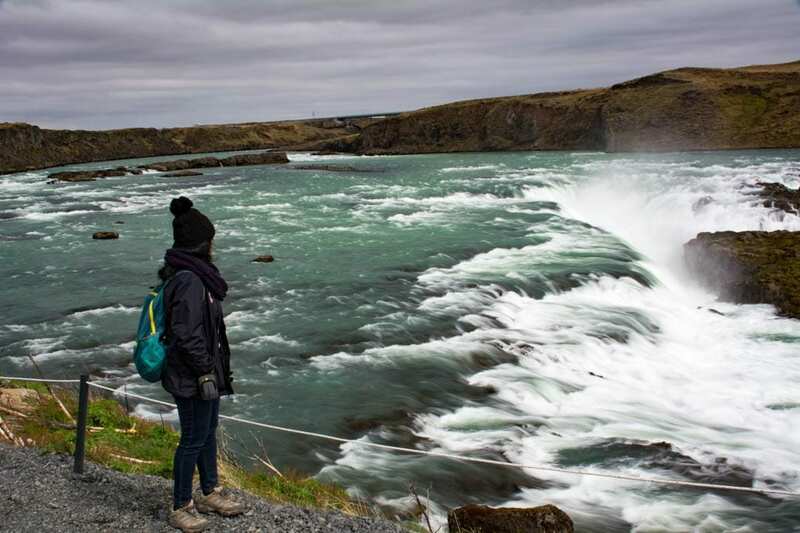 From Hella, you can easily venture off going inland to do the Golden Circle, visit Flúðir and the Secret Lagoon or drive further East along Ring Road 1 on a waterfall quest, visit Gluggafoss, Seljalandsfoss, Gljúfrabúi and Skógafoss all found within about 60 kilometers (27 mi) of each other. From Hella, you can, in good weather, easily spot the feisty volcano Hekla which sits close by mysteriously quiet. 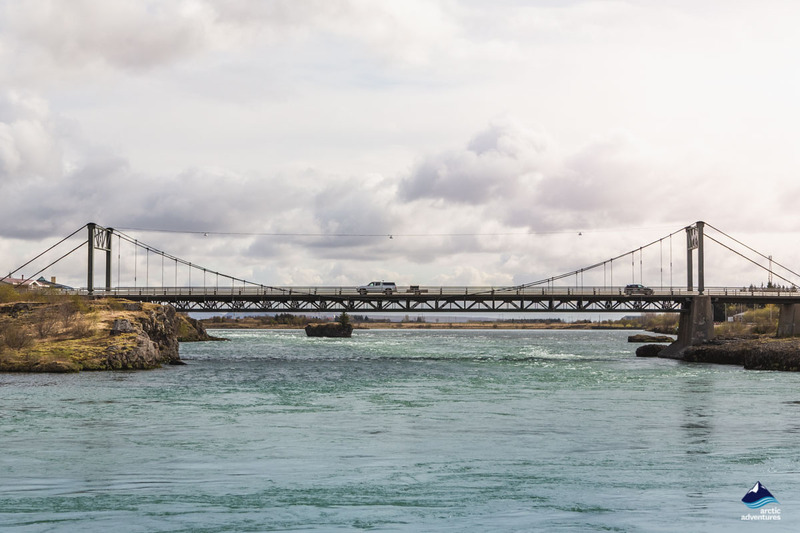 The river, Ytri Rangá, which slithers through the town is one of the best salmon fishing rivers in Iceland so for those interested in fishing this might just be the place for you! The area is also a known hub for the Icelandic horse, with many of the surrounding farm being excellent horse breeding and training places. You can easily join a horse riding day tour from Hella. The founders of Hella were not Norse, like most places in Iceland, but Irish Monks! The people of Hella mainly work in agriculture, commerce and tourism. Like most towns in Iceland, Hella has its own annual town’s festival. Theirs is called Töðugjöld and is held the second weekend in August. The town is decorated and musical acts and dances are held before the grand finale, a firework show! 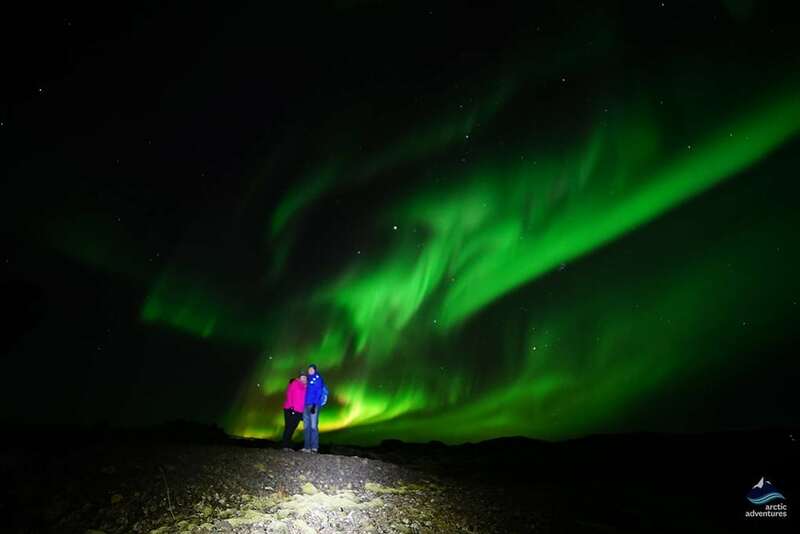 Hella is located on the South Coast in Iceland only about 94 kilometers (58,4 mi) from Reykjavík. The closest settlement is Hvolsvöllur about 13 kilometers (8 mi) away and the second closest is Selfoss 37 kilometers (22,7 mi) away. There are a few ways going about getting to Hella. You can catch the public bus, which goes once a day along the South Coast or you can hire a rental car. Driving from Reykjavík to Hella takes about an hour and 20 minutes. You leave the city through Norðlingaholt and continue onwards over the heath Hellisheiði, down from its hills and into the town of Hveragerði, pass Mt. 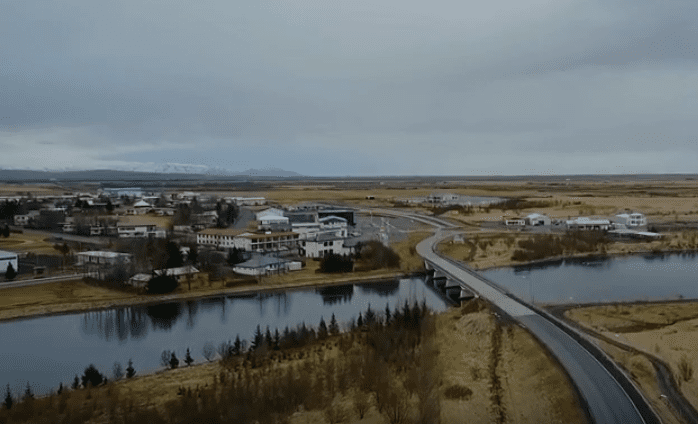 Ingólfsfjall and go through the town of Selfoss. About 30 minutes of driving in the countryside will soon have you arriving in Hella. From Reykjavík to Hella you keep on one and the same road, route 1. Take a dip in the local Swimming Pool! – There is nothing quite like a soak in some geothermal water after a good day out and about. 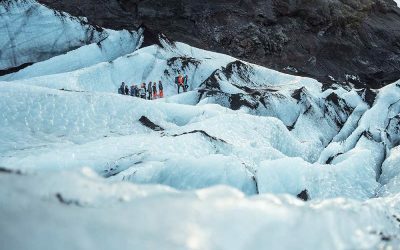 Visit the Hekla Center – and discover everything about the fascinating volcano Hekla. 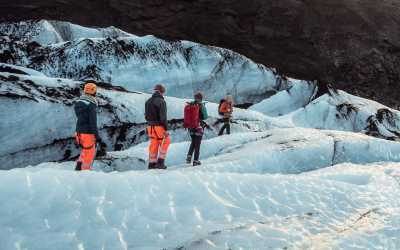 The contemporary, multimedia exhibition that has been put on display is a treat for anyone interested in geology, history and just Iceland in general! Explore the beautiful waterfalls near Hella – a visit to Thjofafoss, Aegissidufoss or Urridafoss never disappoints. 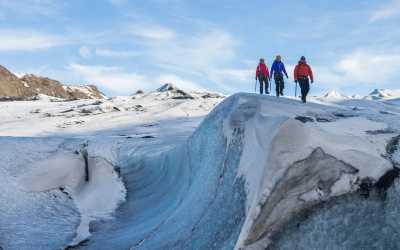 Sign up for a glacier hike – less than an hour away from Hella you have the gorgeous Sólheimajökull, the perfect glacier playground. The most popular tour is the Blue Ice Tour. 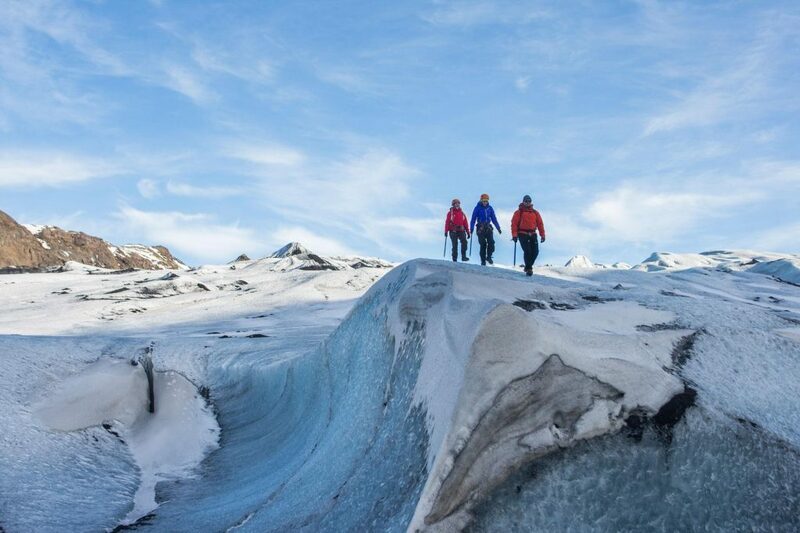 Check a visit to a glacier off your bucket list! Hella’s camping ground is found on the Southern side of the Ring Road down by the huts at the riverbank. You make a turn at the roundabout next to the gas station. There you will find it, hidden amongst trees and bushes. The facilities on site include a cooking station, toilets, showers, electricity, a BBQ station, a dining hall and a playground for children. Kanslarinn – The classic burgers and cozy atmosphere. A family-friendly grill by the road. Restaurant Árhús – the variety is fantastic and the meals yummy. Located right at the riverbank, try to sit by the window the view is fantastic! 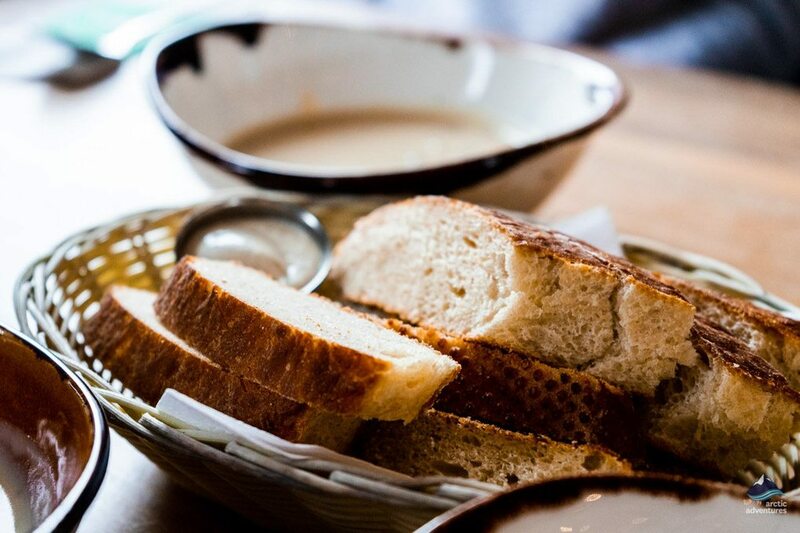 Stracta Bistro – the fancy option! Beautiful architecture and tasty Icelandic dishes with a modern twist. Restaurant Strönd – located quite high up so the view is nice, the variety ranges from meat to fish. The typical Icelandic menu that delivers every time. Olís gas station – grab the classic Icelandic hot dog and appelsín with it, the ultimate Icelandic road trip meal! Hella is a beautiful place to stay at in winter when the weather gods bless us with snow and the river banks get frosty. As Hella is a small town the street lights are also limited making the town a good place to be for the Northern lights which often decorate the dark Icelandic winter skies. Just remember, the roads can get slippery during this season so if you aren’t used to driving in these circumstances you might want to consider taking a tour or a public bus. Another thing is dressing properly. 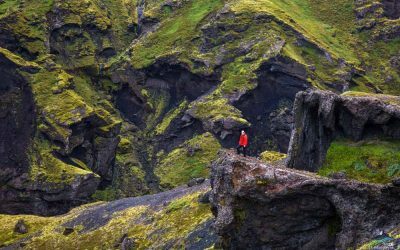 Layer up to stay warm, South Iceland gets just as cold as the rest of the country!